A group is proposing an autonomous vehicle pilot program along 10th Street Southwest, also known as L'Enfant Plaza, calling the stretch from Independence Avenue to The Wharf an ideal candidate for an AV pilot zone because of its manageable daily vehicle volume — about 4,300 cars a day. 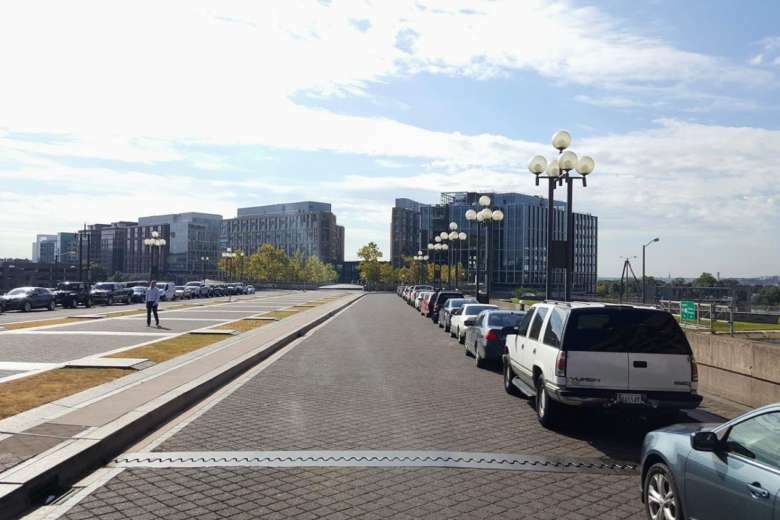 WASHINGTON — A partnership between the Southwest Business Improvement District and D.C.’s Interagency Autonomous Vehicle Working Group is pitching 10th Street Southwest as an ideal spot for autonomous vehicle developers to test their technology. The Interagency Autonomous Vehicle Working Group is led by the Office of the Deputy Mayor of Planning and Economic Development, the District Department of Transportation and the District of Columbia Office of Planning. The partnership has issued an official Request for Information from private sector companies developing autonomous vehicle (AV) technology, seeking partnerships and industry input on policies and procedures to guide pilot projects within the District. It is proposing an autonomous vehicle pilot program along 10th Street Southwest, also known as L’Enfant Plaza, calling the stretch from Independence Avenue to The Wharf an ideal candidate for an AV pilot zone because of its manageable daily vehicle volume — about 4,300 cars a day. “The 10th Street SW corridor is currently the fastest way to get from the National Mall — which attracts 20 million annual visitors — to the District’s newest, world-class waterfront destination,” said Steve Moore, the executive director of the Southwest Business Improvement District. “We want the District to be on the cutting edge of AV technology, and to show the world that DC is not just a government town, but a creative, tech-savvy hub that is actively thinking about and investing in innovation and in its future,” said Brain Kenner, Deputy Mayor for Planning and Economic Development. The District is already a pilot zone for Starship Technologies‘ autonomous delivery robots that can be seen traversing sidewalks in the Logan Circle and 14th Street, NW.